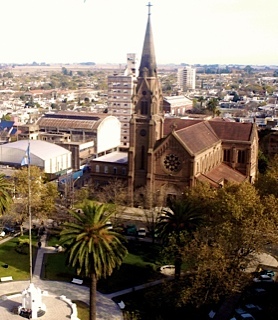 The church in Pergamino from which the woman in the story exits. Historical Note: Atahualpa Yupanqui is the most famous resident of Pergamino, a town in Los Pampas de Argentina. His guitar and lyrical poetry celebrate folk dances and the customs of Pampanos. The YouTube video below includes eight of his well-known songs.